Jeff has a great post about 20 questions you should be able to answer about your game world. His point is that these are the things that your players care about, not the eras of history you have written up in a binder somewhere. 1.What is the deal with my cleric's religion? - assuming human, you worship the Shepard, a singular god who sent you over the plains to the known world. Has priests, monks, bishops, all that jazz. 3.Where can we go to get platemail custom fitted for this monster I just befriended? - Plate does not exist, otherwise, from an armor smith in a larger town. 4.Who is the mightiest wizard in the land? - Martletock, an elf. He's quite mad you know. 5.Who is the greatest warrior in the land? - of all time? Remoos, long since dead. 6.Who is the richest person in the land? - The Emperor. 7.Where can we go to get some magical healing? - Larger church in a town, from random hermits who can heal. 8.Where can we go to get cures for the following conditions: poison, disease, curse, level drain, lycanthropy, polymorph, alignment change, death, undeath? - Larger towns have churches with significantly high leveled clerics. Question is, would they want to heal you? 9.Is there a magic guild my MU belongs to or that I can join in order to get more spells? - not as such. There are secret societies of magic users, and colleges, but access to spells is closely guarded, particularly beyond the first two levels. 10.Where can I find an alchemist, sage or other expert NPC? - large towns or cities. These guys are not hanging around cow towns. 11.Where can I hire mercenaries? - pretty much every town will have some muscle that can be hired, either knights who need cash, or bravos/toughs. 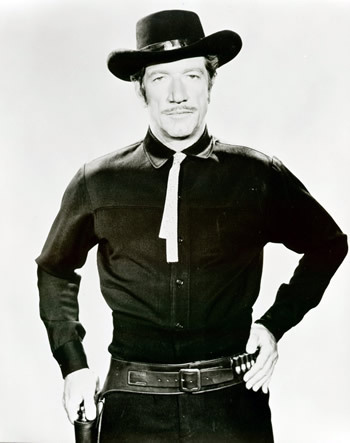 12.Is there any place on the map where swords are illegal, magic is outlawed or any other notable hassles from Johnny Law? - swords are illegal in most towns, particularly if you are not a Noble. magic is restricted by social custom (meaning they might hang you). 13.Which way to the nearest tavern? - nearest village has a pub. 14.What monsters are terrorizing the countryside sufficiently that if I kill them I will become famous? - depends on the locale, but most areas have sufficiently scary monsters living in the mountains, and failing that, there are always sub-humanoids to slay. 15.Are there any wars brewing I could go fight? - Chénez and Gyor do not get along all that well, and local barons are always cattle raiding one another. 16.How about gladiatorial arenas complete with hard-won glory and fabulous cash prizes? - in the City. You are most likely going to end up dead though. 17.Are there any secret societies with sinister agendas I could join and/or fight? - if I told you, they would not be all that secret, would they? The Empire is reputed to be rife with such things, and you know how those Laténs go for societies and factions. 18.What is there to eat around here? - Mostly simple things like salted mutton and rough bread, the City has the really good stuff like larks' tongue paté. 19.Any legendary lost treasures I could be looking for? - The titans left many treasures in their towers and mines, the problem is that people might want to burn you for going there. 20.Where is the nearest dragon or other monster with Type H treasure? - look in the high mountains. X is for Xenophobia in our twenty third installment of the Deepest Sea A-Z. Webster's defines Xenophobia as: (N) fear and hatred of strangers or foreigners or of anything that is strange or foreign. Which seems about right. In the Deepest Sea setting, xenophobia is pretty much the default setting of a random NPC. If you are not from this barony, let alone the country or race, well, that is a pretty big negative to his or her opinion of you right out of the gate. With a few exceptions, humans do not care for Dwarves, Elves, or Havlings (and certainly not orcs). Correspondingly members of those races, do not as a general rule care for those of other races either. Of course, in a world where different humanoids are common, there are some whose interests are, shall we say, peculiar. This sort of person can be found at every social strata; however, only the rich can afford to buy exotic slaves, or otherwise indulge in xenophillia. This trait is slightly more common in Elves, as they are, as a rule, thrill seekers. For role play purposes, it is assumed that a PC does not have xenophobic tendencies, or if they do, they are sufficiently subsumed as to not prevent normal congress with them. NPCs on the other hand should have a negative to any reactions if a PC or NPC is from a different part of their own country, a negative if the PC/NPC is from a different country, a further negative if the PC/NPC is from an enemy country, and on top of that, a negative if the PC/NPC is a different race (human to elf say). That means that the PC/NPC better have a pretty darn convincing argument, or be willing to pay a high price for that gee-gaw, or otherwise will be suffering due to the xenophobia of the target NPC. Friday, more Deepest Sea A-Z with Yeoman. W is for Walking in our twenty second edition of the Deepest Sea, A-Z. Walking, riding, and other methods of leg powered locomotion over land are always critical function of travel, particularly so in the Deepest Sea where navigable rivers rarely cross the Rim. In the D&D rules, a character has a maximum movement rate per day of standard move/5=miles. A standard move of 100 feet per turn is equivalent to 20 miles per day. Roads add 50% to that amount, "forcing" the march adds another 50% per day. Using this information, we find that the max rate of movement for a man on a horse on a road on a forced march would be 240/5*2=96 miles per day. That is some pretty serious traveling! Marathon (26.2 miles), fastest time is just over 2 hours. Roman march, was 24 roman miles with a load in 5 summer hours. Roman league was 2.2 km, or half as much as a man could walk in an hour. Cattle can be driven 15 miles per day and not lose weight, or 25 a day at fastest. In the Deepest Sea, as mentioned above, walking is the main mode of transport for the majority of the population. Carriages exist for the very rich, moving between close cities, but in general the people walk, and nobles ride. Dwarves often use trekking poles when walking, which allows them to keep pace with the longer limbed humans or elves. Dwarves occasionally make use of pack goats and female Dwarves sometimes have riding goats. Elves are able to keep walking for much longer than a human, and can jog for very long stretches of time. Before horses were introduced, the Empire maintained runners stationed 30 miles apart for communications, and whole legions would march at a quick step to distant parts of the Empire. Elves still use riding cattle (mostly steers) for non-military travel. Orcs do not commonly ride horses, and instead use forest elephants with two Orcs mounting each elephant. When Havlings travel in the company of orcs, many can be mounted on a single elephant. Thursday, more Deepest Sea A-Z with Xenophobia. V is for Vaults in our twenty first installment of the Deepest Sea, A-Z. The Vaults are a unique geographic feature of the Deepest Sea setting. Towering cliffs wall in a channel which runs roughly north east through the Rim from the Deepest Sea to the Shallow Sea. They are commonly believed to have been created when the City was founded over 2000 years ago, some great magic of the Gods to protect the City from the rest of the world. One story has Sol the All Father harnessing a great blue oxen to a giant plow, and plowing the channel. Some sages advance the ridiculous theory that the channel of the Vaults was formed when the Shallow Sea flowed suddenly into the Deepest Sea, although why such a flow would exist, they are unable to explain. Formerly the Vaults were bridged at the end nearest to the Deepest Sea, where the mountains were lower, and the gap was not much wider than a single galley. These bridges were used to march the Empire's armies around the Rim, as well as for trade purposes. Over time, erosion worked away at the cliff side foundations of these bridges, ruining many, and the hostilities with the Turqs have caused the rest to be pulled down, so that no bridge currently spans the Vaults. Currently the Vaults are heavily fortified along their Deepest Sea shores, and again where the channel reaches the Shallow Sea. The Empire maintains large fortresses on either end, and a low wall runs along the edge of the cliffs until the Rim mountains begin. The Malikate of Turqs controls most of the Turq side of the Vaults, and it too has a fortress on the Deepest Sea side of the Channel. Near the Rim mountains, where the power of the Malikate is weaker, there is a place where people can gather on either side of the channel and shout messages to one another. In this way, news travels swiftly from kingdom to Empire, even when they are at war. Despite the current hostility between the Turq kingdoms and the Empire, a great deal of traffic uses the channel between the Vaults to move from the Deepest Sea, and the City, to the Shallow Sea. Great fishing fleets harvest the Shallow Sea's bounty, and processed and fresh fish are sent on swift galleys through to the Deepest Sea. Those Turq kingdoms on the Shallow Sea, and the Beha, also send a great deal of trade between the Vaults to the kingdoms of the Deepest Sea, and occasionally a laden ship comes from far off Ehiandi, carrying exotic goods. The portion of the Vaults that passes through the Rim characterized by towering cliffs, and in ancient times, before the Elves were liberated, they were the hideouts of escaped slaves. Working with Dwarves, the Elves made whole secret towns in the soft cliff faces. Many of these caves and tunnels have fallen to ruin in the time since those dark days, but every now and again, explorers find a new entrance to the catacombs and descend to look for treasure. Tomorrow, more Deepest Sea A-Z with Walking. U is for Uténas in our 20th installment of the Deepest Seas, A-Z. Uténas is a small country located at the southern end of the southern continent, south of Brémdy, located on on a portion of the Shallow Sea commonly called the Bay of Barbarians by others. This part of the Shallow Sea freezes in the winter, limiting access to the port towns of Uténas and to Chénez as well. The terrain of the country is relatively rugged, particularly as compared to Brémdy, with a small range of mountains running east to west, separating Uténas from the Nords to the North. Uténas is a country of Barbarians, at least by the standards of the Nords and Laténs. Populated well after the fall of the Empire, the territory was never occupied by the Elves in any numbers, and was rough and harsh. Consequently when later waves of human migrants came out over the plains, they found a nearly virgin land, well suited to the warriors of the East. Over time the warriors settled down, and be came the hearty farmers, eking out a subsistence life on the fur and timber trade. The people of Uténas have their own dialect of the Barbarian language group Phinic. The language is heavily influenced by Brémdic, and has a few loan words from Franka as well. Elves are very rare in Uténas, and are viewed with suspicion and hostility by the less educated, particular in the countryside. Elves are often suspected of cattle rustling, or unnatural acts with livestock. Dwarves are rather more common, and there are a few small settlements in the mountains working mines and the like. They are viewed with much less hostility, but still are an object of suspicion for most people. Many think that they are greedy to the point of theft when shown gold (false), or that they eat their bread with stone dust (true on certain days). Like the people of Uténas, the law of the land is harsh and decisive. What constitutes crimes is well understood, and enforcement is handled by village hetmen. The few trials that are needed are heard by the hetman and decided on the spot. Typically, punishments are divided into death, slavery, or a fine, depending on the severity of the crime. Fines of course often result in slavery, or indentured servitude, since cash is rare amongst the lower class. In Uténas, superstition and tradition have equal weight with other more formal types of law. Being accused of casting the evil eye for instance, is neigh on a death sentence. Showing the dirty soles of one's boots to a child is a crime in Hawkitai, and for good reason too, since soles and souls are linked in the minds of the locals. The punishment is a hefty fine, equal to the price of the child on the slave market. Tomorrow, more Deepest Seas A-Z with Vaults. We have lived in our house for a couple of years now, and during that time I have been looking for some sort of more permanent storage for my completed miniatures. My wife will tell you that pretty much every time we go to a store, any sort of store, I will look at boxes, tubs, and the like, trying to find something that will easily store a large amount of 28mm figures. I figured that I wanted something roughly 4" tall, large enough for a sheet of paper (US office sized, or 8.5"x11"), and ideally metal. Two years of handling boxes, eyeing them, measuring them, and deciding that they were not quite good enough, or too expensive, or whatever. Friday, while thrift store shopping, my wife found the following and brought it home with her. $14 for a 6 drawer system, roughly 24" by 12" by 14". The interior of the drawer is around 3.5 inches tall. Marked Diebold Safe-T-Stack, these are six excellent card file boxes in three separate cases. Made of heavy gauge steel, they are super durable, and best of all magnets will stick to them. Each seems like it will hold around 4 regiments of WHFB figures, which is great. At 3.5", they will not hold a knight with his lance up, but they will hold one with his lance down, or at a slight angle. So not quite perfect, but pretty close, and a great deal too. Further, and possibly the most important, no more agonizing for a while! My wife is the best. Thanks! T for Titans is our nineteenth installment of the Deepest Sea A-Z. The Titans are the bogeyman of the current era in the Deepest Sea setting. Long ago, before the Empire was born, and before Humanity came over the plains, the Elves, Havlings, and Dwarves, lived a primitive life around the shore of the Deepest Sea. At that time, copper axes was as advanced as weaponry got, and farming was still secondary to fishing and hunting in terms of food production. One cold spring, the Titans came North from the far reaches of the Southern Continent, striding over the empty lands. Reaching the shores of the Deepest Sea, and seeing the primitive towns of the Elves and others there, the Titans used their magic and superior technology to enslave. True be told, many went willingly to their side, as the lust for knowledge was already within the Elves. Conquest or unwilling subjugation, with in a year, the whole of the Deepest Sea was united under their rule, and the Titans turned from conquest to comfort. Never a numerous race, they dwindled in these long years, as reproduction was not a high priority when there were towers to build, boreholes to dig, and above all research to conduct. For the Titans, their long lives and natural magical proclivities were a natural combination that resulted in a spiral of deeper isolation and darker research. Eventually each Titan lived alone with their slaves, and magical creations, which became more and more monstrous. As the Titans aged without any children, they began to fear death, and fearing death lead to the desire to control it. Their research turned to necromancy and the extension of life. Rumors that this Titan or the other had succeeded in finding immortality lead to war amongst them, and terrible monsters were created for this purpose. Their numbers dwindled more, and the wars wrecked much that they had built. Eventually the Titans weakened enough that their slaves were able to successfully rise against them. Under Remoos, the Elves arose and liberated the slaves from one Titan to the next, moving around the Rim. When the last Titan fell, Remoos proclaimed the republic, and banned the study of magic, the Titan language itself, and tried to expunge their memory. Now long gone, the Titan name still evokes fear. While the bans on the study magic did not outlast Remoos, the impression that magic is ultimately evil and corrupting did. Their ruins remain in distant corners of the world, tempting and taunting with the possibility of secrets, and threatening with the monsters and danger lurking there. The Titans spoke Titanic, and wrote spells in this language as well, which as made it the de facto language of magic research and scrolls. The Titans also created Servile, a language which was used by their slaves. This language evolved into the Dark tongue, and also influenced Franka. Written Titanic is written with conjoined letters, and endless loops, making it hard for the uninitiated to read. Monday, more Deepest Sea A-Z with Uténas. A couple of weeks ago, it occurred to me to try out the polystyrene foam scoring method of making bricks for terrain. Not being one to be too scientific, I thought I would also try to see if polystyrene foam would glue with standard modeling glue. I decided to make a sample wall section for the 10mm castle that keeps running around in my head. If the sample worked out, I would need something like 20 wall segments of this type. So that makes this a triple experiment, one to test the scoring, one to test the glue, and one to test the overall dimensions of the project. As it happened, my wife had some leftovers from her mother's birthday dinner, which she had in a takeout box. [takeaway for our British Friends] I set to work with scissors and a somewhat dull pencil. The wall section took about 30 minutes to construct, and future segments would be much faster to build. The results are below. Success I think on the overall size, and certainly the scoring method, and rather a failure on the plastic model glue. ~55mm tall, 40mm wide, 25mm deep. Seems like a perfect size, and fits with the siege rules in Warmaster. Size modeled here by some Copplestone 10mm Half-Orcs. Here you can see the melted polystyrene. So, all in all a partial success. I should try it again with less glue (possibly brushed on), or with PVA glue. More proof that the original crop of role players is getting old. D&D perfumes, customized to your class and race. What will be next? D&D clothing? Get your outfit customized to your alignment? S is for Swords in our eighteenth installment of the Deepest Sea, A-Z. What is a sword? Is it no more than a pointy bit of metal that causes d6 damage? To the player perhaps that is all that it is. To the PC though, well, the sword is more. It is representative of a rank, when they wear it about town. It is the artifact handed down by their father from his father that they will use to slay the monsters that threaten the village. Was Excalibur just a sword? Or was it a symbol as well? In the Deepest Sea, there are many sorts of swords. They are used by all countries and all races in one form or another. It is a steel sword with a cruciform hilt for one hand, and has a blade suited for cutting and stabbing. They are fairly long and have a good reach. Similar swords are also used by Orcs and Elves, although the Elves tend to use a simpler hilt, and are slightly broader over their length. The Franka name for this sort of sword is a Spathé, and it is issued to the infantry as a secondary weapon. Consequently it turns up frequently in graves, or in the hands of ex-soldiers. Havlings and Dwarves, being of short stature, tend to use shorter swords. They are still full swords, but have a thicker blade to allow for close quarter cutting and a supported stab. The slave armies of the Titans were armed with leaf shaped bronze swords, which are often found in graves, or in ancient armories. Some are still sharp today, and a few adventurers carry one to show that they have "seen the dragon" so to speak. Bronze swords will not shatter, and of course are immune to rusting magic, such as from a rust monster. In any case, a sword is not just a pointy bit of metal. It is a link to a place, and a time, and it is a personal part of the adventurer. Keeping this in mind when describing what the PC carries, or what they find in a grave, or what is for sale at the sword smith's, gives the player a sense of space. Saturday, more Deepest Sea A-Z with Titans. I just finished Prospero Burns , by Dan Abnett, a book set during the Horus Heresy era, which gives some background on the Space Wolves, so here is a little review. The story in the book is told from the viewpoint of a Terran who becomes an adjunct of the Space Wolves. The over all story was good, although like many Abnett books, it ended quite abruptly. Plenty of information about the Space Wolves was revealed, although most of it was just more layers of detail on what was already known. I was never really a fan of the Space Viking-Werewolves, and finding out that they dress like this guy did not help matters. In the end, their viewpoint was not as sympathetic as that of the Thousand Sons (in A Thousand Sons ), which is disturbing, when one is labeled a traitor legion and the other is held to be loyal. Regardless of the sympathy that the author was trying to evoke, the story was interesting to keep me turning the pages. There were plenty of interesting bits in the book, once again describing how things were really better in the year 30k than in the year 40k, and more about the detail of Terra at that time. The discussion surrounding how unification was not a single event was interesting as well. Anyway, next up is a childhood development book that my wife wants me to read and THEN the Dungeon Masters Guide II (from 3.5). R is for Rogues in our seventeenth installment of the Deepest Sea A-Z. Rogues, thieves, buglers, pickpockets, scoundrels, what ever you call them, the slightly shady have long been a part of fantasy lore. Bilbo was hired as a burglar, the Grey Mouser and Fafhard were thieves, and even Conan was often looking to enrich himself by thievery. Having a stealthy fellow to accompany the fighters, and open locks, stab guards, and so on is always useful. In D&D, Rogues were added early on as a core class, and have remained in the game ever since. They have minimal hit points, can only wear leather armor, can use any weapons, and can back stab. In addition, the rogue has an assortment of skills, which allow them to pick locks, find traps, pick pockets, and hide in shadows. These skills are handled through a d100 roll on a chart, on which the Rogue improves as they gain levels. A major part of Rogues in classic D&D is that they are supposed to be part of a Thieves Guild, which restricts their options and freedoms. In the Deepest Sea, those who fit the description of "Rogue" are common. Like fighters, rogues are everywhere, in all walks of life, although they are more likely to be city dwellers than from rural areas. Rogues often start as pickpockets and cut purses, and work their way up to adventurers when something good comes their way, or when driven out of the city. Another source of those who fill the "rogue" category, are the clever, but not militarily skilled folks. They are trying to rise in the world by adventuring, but do not have training with weapons, and have to use their brains instead. These individuals take a more lawful path to rogue-hood. Seems very fitting for most of the "rogue" skills, which are fairly general (listening and wall climbing come to mind). NPC Rogues or randomly generated PCs have a 1/2 chance of being male, and a 1/20 chance of being nobles. 2/3 of the time they will be human (modified by location). 9/10 of the time they will be from the country in which they are currently located. 1/4 of them are 15-20 years old, 2/4 of them are 21-30, and 1/4 are 31-60. In any random adventuring party, 1/5 of the members are fighters. Handling PCs who are rogues should be fairly easy for the DM, because if they engage in theft, they are law breakers, and law in the Deepest Sea is both harsh and swift. Therefore the DM has a huge stick to work against any rogues that need it. The carrot is greed, as any rogue player should be especially greedy, either for gold, or position in society. Further levers are through the brotherhood of thieves, family, friends, and so on. Friday, more Deepest Seas A-Z with Swords. Q is for Quaffs in our Sixteenth installment of the Deepest Sea A-Z. Occasionally your players come across a bottle of something that looks drinkable. What is in that bottle? Thursday, more Deepest Sea A-Z with Rogues. Thanks once again to the bounty of the local library, I have had some interesting books to read lately. I finished Swords' Masters last week, and it was pretty good. Not as good as the Three of Swords , but it was nice to return to Lankhmar. The longer stories allowed for more development, but in some ways they do not suit the characters as well. The short, action packed stories from the first book get right down to the point, where as the longer ones seemed to drag a bit more. Still, plenty of interesting details there. I particularly liked the "queller", which seems like an interesting little magic item, and also shows the difficulty a PC would face when handling some magic items... their value as raw materials may be more than the value as a magic item. As a bonus, I also read Fafhrd And The Gray Mouser , a graphic novel adaption of the first few stories. The script adaption was pretty good I thought, , but I really can not get into the Mingola art style. Too... flat or something, which makes scenes with the protagonists a bit hard to view. Also, the version of Lankhmar shown was too modern looking. So can not really recommend that as a purchase, but from the library it was fine. Currently I am reading Prospero Burns , which is pretty interesting so far, which is what you would expect from Dan Abnett. The Space Wolves were never my favorite chapter, so I was a little leery of reading a whole book about them, but fortunately they are mostly secondary thus far. More on that when I finish it. P is for Paladins in the sixteenth installment of the Deepest Sea, A-Z. Paladins are a classic image from Fantasy, if somewhat rare by that name in earlier works. Typically, they are knights of great purity and piety, which sometimes affords them extra power. Galahad is a Paladin, some of the other knights of the round table have leanings in that direction. Imrahil too fits some of the imagery. In D&D, Paladins have a long list of bonuses. They can Lay on Hands to heal 2 hitpoints once a day, they can cure disease, detect evil, have a protection from evil power, and get a +2 to tall saving throws. They can turn undead at level three, and cast clerical spells at level nine. Oh, and they are immune to disease as well. Pretty powerful no? However, they have some pretty massive restrictions to offset these advantages. First, they have to have Charsima 17, which, well wow, that is high. Second, they can not participate in any "evil" acts, or they will lose all of their powers. They have restrictions on their allowed possessions, and must tithe 10% of earnings. Even with these restrictions, some DMs do not like Paladins, and some game universes simply do not allow them. In the Deepest Sea setting, there are paladins, mainly from two sources. The first are warrior priests of the Red Daughter Bella, the Elvish Goddess of war. These are priests in terms of hierarchy, but they more closely fit in with paladins. They accompany the armies of the Empire and its allies, and seek to bring glory to their god through battle. They may be male or female, and have a red cloak to denote their authority. These warrior priests are not likely to be PCs. The second source of Paladins is from the crusader kingdom Candia. A combined army of the Nordic nations under the command of the brilliant St. Cuthbert went on a crusade against the Orcs. This force of knights landed on the north side of the Deepest Sea, and struck the Orcs there, ending their long war against the Elves. They built a fortress city on the bay of Candia, starting with a prebuilt castle brought in pieces from Brémdy. The order of Cuthbert was founded shortly after the death of the Saint, and knights who took the vow of Cuthbert became known as Paladins. They strike out from the city after they are ordained, and seek adventure and right the wrongs of the world. They predominantly work north of the Deepest Sea, fighting the Orcs as they can, but the long relative peace there has caused political pressure for the order to send them somewhere else. Failure to obey these rules will result in the loss of position as a member of the Order, and a loss of the powers and privileges therein. In return Paladins get the powers listed in the Advance Companion, except they are not immune to disease. As members of the Order, they also have considerable "soft" power in the Nordic countries, which highly respect the order, and lesser "soft" power elsewhere. The order itself also has considerable resources to sponsor adventuring parties, or supply equipment, or otherwise help out a party containing a PC Paladin, of course in return for their goals. NPC Human Paladins have a 9/10 chance of being male. 1/2 of the time they are nobles. In any random adventuring party, only 1/20 are likely to be Paladins. They are always heavily equipped, and are accompanied by d3-1 squires. 1/4 of them are aged 20-30, 1/2 are 31-40, and 1/4 of them are 40-60. 1/2 of them are from the two Nordic countries, 1/4 from all of the Latén countries, and the rest from all other human countries. When handling Paladins in the game, remember all the control that players have surrendered in return for the benefits and prestige of being a Paladin. The character is a member of the Order of St. Cuthbert (or a priest of Bella), and must obey their superiors. This is in addition to any ties of family or fealty. These duties and obligation give a DM plenty of ways to provide carrots and sticks to the player of Paladin. Wednesday, more Deepest Sea A-Z with Quaffs. TMP has a news post about the new and upcoming Perry Plastic releases. Some excellent stuff coming out, in particular those Men At Arms, which would of course fit nicely into an Empire army, with some added shields. 28mm Napoleonics are awesome of course, but thankfully not the direction I want to go in... although they could be good as a source of figures for skirmish gaming... Similarly the Revolutionary War figures that they have in metal are already amazing, so plastic figures should only make games more accessible. Not too much going on in hobby land the past couple weekends, as I completed taxes and did yard work, but sometime soon! O is for Orcs in the fifteenth installment of the Deepest Sea A-Z. Orcs, at least as we know them, came from the Lord of the Rings. They are nasty, brutish monsters, which threaten the "good" of the world with their desire for war. Other views of orcs are generally similar, and only change the details, such as Games Workshop Orcs/Orks which are a bit more fun loving with crude Cockney accents. Orcs are typically seen as hunched, dirty, with poor quality equipment, and low personal hygiene. In D&D Orcs are not usually player characters. They are described as pig faced cruel creatures who live primarily underground, have a lust for gold and killing, and a crude tribal structure. They have one hit die, and are chaotic, which is in keeping with the description. Half-orcs, which are an allowable PC race in the advanced companion, have positive strength and constitution modifiers, and a negative modifier to charisma. They can be assassins, thieves, fighters, or clerics, but not magic users. They have infravision, and are able to find secret doors and traps 1/3 of the time. Orcs come from the Northern Continent, and most scholars think that they originated somewhere beyond the great equatorial Wet, where the very air steams, and giant beasts tread the marshes. They did not feature much in the affairs of the world before the Titans, or at least they do not make an appearance in the legends or stories of that time. The Titans certainly made use of Orc slaves, particularly as task masters over the other subjected races, which may account for the cruelty of the Elves meted out once the Titans were over thrown. The Elvish legions spent most of their efforts against the Orcs, spreading out on great pacification marches, where every Orc was slain, towns burned, cattle slain, and goods spoiled or carried off. These occurred on a rotating basis for centuries, as the then superior technology and discipline of the Elves allowed them to operate with impunity. The Orcs were forced back into the Wet, and their population seethed. Eventually, growing weary of the slaughter, and of death in the mud, the Elves built a long limit line along the southern edges of the Wet, league forts and walls to prevent incursions, and small towns to supply the forts. This was called Hadrioon's wall, after the emperor who ordered its construction. The limit line lasted but a generation, for the Empire was already in decline. More and more troops were diverted for civil conflict, or to fight with the incoming hordes of humans, or simply because there were no more replacements. The wall grew weak, and gradually, slowly, and fitfully, it was abandoned. In AGM600, the Orcs boiled out of the Wet in a massive crusade, sweeping the few Elves left from their path, and gobbled up the rich farm land to the south. This crusade continued to the Sea, and by AGM630, they had destroyed the whole of the northern Empire, save what is now the Remnant, clustered around the Great River, and the City. War with the Elves has now settled into defined lines, and the unity the Orcs once had is slipping away. Great warlords became kings, and though they all served the Hooded One, they rule their own petty kingdoms beyond the rim. The priesthood has a heavy hand in the rule of law, and all orcs remain united in that at least. Havlings and dwarves with in the territory are enslaved, and captured Elves are carried back to the homeland beyond the Wet. No one knows what happens to those taken, and none return. The humans have sent several crusades against the Orcs to liberate the land, and aside from setting up the small kingdom Candia on the shores of the Deepest Sea, have had little success. All Orcs speak Orcic, a language not related to Franka, or Titanic. Consequently, it is very difficult for outsiders to learn, and Orcs similarly have great difficulty learning the languages of others. Typically they use Dwarven or Havling interpreters for formal needs, and get by with a crude pidgin version of Marian when no slaves are available. Due to their difficulty in learning Titanic and Franka, Orcs have a much greater difficulty learning new spells, and must spend twice as long to inscribe spells. Orcs of the Deepest Sea are perhaps best treated as Humans. The differences between the two races as far as stats and abilities are slight, and these are handled best by role play, rather than rules. Consequently, all of the restrictions normally placed on half-orcs do not apply. Orcs may be any class save Paladin or Druid, as they have no equivalents to these. Orcs adventure for much the same reason as any human, for money, for glory, for duty, or for love. They look down on Havlings and Dwarves as servile races, and treat Elves with a thinly veiled contempt. Humans are the only race that get on with them at all, something which does not impress the other races. They respect their overlords, and obey their priests nearly reflexively. They take a great personal pride in honor and justice, even if these are obscure to those from other cultures. Orcs typically have great piety, and will spend at least one hour a day in worship. Orcs have a number of sayings which involve mud and similar idioms from the Wet, which often are hard to translate. They have a reverence for well built things, and often heavily ornament simple items of equipment. In this regard, they are somewhat like Elves or dwarves, although they would not appreciate the comparison. Female orcs are not often seen abroad, as they are seen as the guardians of traditional Orcish culture, and consequently are kept away from outside influences. Randomly generated NPCs or PCs are likely to be male 7/8 of the time, nobles 1/10 of the time, and from the Wet only 1/20 of the time. They are likely to be fighters 1/2 of the time, clerics 1/6 of the time, are not randomly wizards. NPCs will be accompanied by d3 slaves, which are Havlings 2/3 of the time, and Dwarves 1/3 of the time. These slaves are treated as hirelings, with a -1 to moral checks. Adventuring Orcs are rarely seen abroad due to their slow conflict with the rest of the Deepest Sea, however, they do sometimes strike out from trade vessels. They are likely to have legal or social problems in Dwarven kingdoms and in the Empire, and in smaller towns in Human countries. They do adventure though, for their love of glory leads them to seek out monsters to slay, and treasure is always welcome. The best miniatures for Deepst Sea Orcs are Thunderbolt Mountain Goblins. As these are somewhat limited, Reaper Black Orcs might also work, particularly as a PC. Tuesday, more Deepest Sea A-Z with Paladins. N is for Nords in our fourteenth installment of the Deepest Sea, A-Z. The Nords were the first tribe to meet the Elves on that fateful day when they first rode out over the plains. There on the border near what is now Fedenzia, the sleepy town guards goggled with wonder to see the first horsemen riding ahead of a massive wave of migration, thousands of wains with thousands of families, rolling across what the Elves had always considered trackless waste. The Elves were gracious and welcoming with the slightly more primitive humans, and gave them land in the far west of the Empire to settle. In return for the Western lands, the human tribe gave the Elves horses, which would be the undoing of the empire. The Nords spread out in their new land, and as the Empire fell, they created the new countries of Brémdy and Chénez, first as protectorates of the Empire, then as client kingdoms, and now fully independent kingdoms with nearly 1000 years of their own history. The Language of the Nords is heavily influenced by Franka, since the original place names and many words for technological items came from that language as the Nords filled in the quiet South Western corner of the Empire. In addition, the period as a protectorate member of the Empire spread Elvish culture and law through out the new country, as the humans were eager to learn from their more civilized overlords. With that basis, the languages of Brémdic and Chénezian arose, closely related to Franka, but retaining much vocabulary from the original Nord language. Nords tend to be of medium height and build, in between the barbarians and the Laténs. Their hair color ranges from light brown to nearly black, and nearer to the border with Utennas, it is not unusual for some to be blond. Skin color tends to be light, although anyone who spends time outside tends to a ruddy tan. Eye color is light, ranging from grey to green. The two Nordic countries follow the Shepard exclusively, and hew closely to the established church. The piety of both countries is well known, and the countryside is heavily populated by churches and monasteries. Unlike some of the human kingdoms, heresies are comparatively rare, and the Crowns of both countries have actively suppressed dissent from the church, to the point of calling in levies of knights to attack communities that have deviated from the accepted policies and positions of the church. The Piety of the Nords has lead them to form a crusade on more than one occasion. The second crusade even went over the Deepest Sea to fight the Orcs, leading to a crusader kingdom being founded there. Most paladins are Nords, slightly more commonly from Brémdy, as its population is larger. In addition to crusades, questing clerics are slightly more likely to be from one of the two Nordic countries, due to the larger numbers of monasteries there. Several of the monastic orders are headquartered in Chénez, although chapter houses may be found all over the Deepest Sea. Monday, more Deepest Sea A-Z with Orcs. Telecantar has a great post about using a procedural method to simulate lock picking, rather than just rolling a die and assigning a chance to succeed (based on looking for a solution to the problem posed on rather gamey here). Basically it is a rock/paper/sissors sort of game, with one correct answer per stage. This sort of mechanic could be adapted for several different sorts of tests, such as trap disarming, mechanism working etc. Anything which could be set up as more than an either or solution, but still has a limited set of options could have a little branched path "game" like this, where the player has to make a choice to move along the path to success. Many computer RPGs have some variant of this mechanic as logic puzzles, since you can not describe what you are doing as well. The challenge with this system is to make it simple enough that it can be "played" in a few seconds, and not have the rest of the players disengaged. I think that the way to do that is to limit the total number of steps (d4+1) , and allow for "auto passes" once a lock has been solved. What do you think? Does this slow things down too much vs. a die roll? M is for Magic Users in the thirteenth installment of the Deepest Sea A-Z. Called Wizards, Witches, Mages, and worse, Magic Users can been seen as the sine qua non of D&D. Sure, some argue that the fighter is the core class of D&D, but really, you could have a fighter in any role playing game. No, magic is what makes D&D tick, and magic needs people to wield it, and thence, Magic Users. What makes the monsters exist? Magic. What makes the magic items? Magic. However, in the game, wizards are more... squishy, particularly at the lower levels. First level Magic Users only have one spell! Rolling a d4 for hit points does not help things either, as even a middling blow with a weapon puts them near death. It is only at higher levels that magic users start to become powerful, and of course at the highest levels they are as powerful as armies. When the humans came riding out over the plains, it was found that they too had magic, and the elves taught what they knew to the eager human wizards and warlocks. When the Empire fell a scant few years later, many of the human wizards left with the remaining elves, and set up colleges in the City. Over time, other places of study were set up in the new human cities, and magic use was regularized as a part of life. Now, magic use might not be against the law, but it is suspicious. Those that find they can use magic often run away from home, and head to a large city where they might have the chance to learn more. If they can not make it away, they often end up as the crazy old wizard on the outskirts of town. Sometimes they are called witches and killed by those suspicious of their power. Female magic users are more likely to be branded witches than men, and are therefore less likely to make it away. Magic users are not able to wear armor when casting spells, nor can they carry a shield. Many find that iron weapons inhibit their connection to magic flows, and consequently most do not use swords or axes. Staves and knives are common weapons used by magic users, as they feature as ritualistic implements and are easily enchanted. Magic users learn to read Titanic and Servile as part of their education, and most spells are written in a form of High Titanic. Spell books are extremely valuable, and are quite rare. Finding new spells is the goal of all magic users, and part of the reason that they are feared, as the pursuit of new spells brings them closer and closer to the power of the Titans. NPC Magic Users or random PCs have a 3/4 chance of being male, and a 1/4 chance of being nobles. 2/3 of the time they will be human (modified by location). 2/3 of the time they will be from the country in which they are currently located. 1/4 of them are 18-25 years old, 1/2 of them are 26-35, and 1/4 are 36-60. In any random adventuring party, 1/10 of the members are magic users. ﻿﻿Saturday, more Deepest Sea A-Z with Nords. Copplestone Spring Sale: From midnight on Friday 15th April until midnight Sunday 17th April (UK times) you can get 10% off anything you order just by entering the promotion code – spring – when prompted at our online checkout. Copplestone, as you may be aware (should be!) produces some rather excellent near-future figures (including the particularly excellent Neo-Soviets), as well as the superlative 10mm fantasy figures which would work well as LotR stand ins. I have ordered from Copplestone a couple of times, and they have great service, and the casting quality was great. The figures speak for themselves of course. Unfortunately, I do not think that I will be able to take advantage due to a funds shortage (and just maybe the fact that I have about 10 other armies that I ought to paint). You should though! L is for Lécce in our twelfth installment of the Deepest Sea A-Z. The Grand Republic of Lécce is located on the Deepest Sea in between the Sea and the Rim, and between Crotére and Bori. It is a small Republic, and occupies a marshy country surrounding a bay. Over the centuries much land has been reclaimed from the sea, as levees, dams, and other barriers exclude the sea from more and more area. The republic is named after the principle city of Lécce, which sits at the bottom of the bay. Arranged around the bay and the city are five large towns which are sometimes known as the Pentagon. The five towns are heavily fortified, and help Lécce remain independent from its neighbors. Lécce is sometimes thought of as the most Latén of the nine remaining Latén countries. Its people are just as vibrant as those in Emillio, and just as energetic as those in Vatoni. They speak the Marian dialect of Laténs, which is derived from Franka. In Lécce, many of the more educated populace learns Franka, and some also learn one or the other of the Nordish languages for trade purposes. The people of Lécce diverge from their brethren in the other Latén countries in two ways. The first is that they divide neatly in to two political parties, the Imperialists and the Localists. The first believe that Lécce should petition to rejoin the empire. They are typified by red stripes in their clothing, sometimes subtle, sometimes blatant, depending on the political mood or passion of the wearer. The localists are not apposed to the idea of rejoining the empire, but want first to improve the situation of Lécce itself, either through capital improvement programs, or through conquest of the neighbors (these are divided between Crotére and Bori as the likely targets). Localists adorn their clothing with blue billets, again depending on their passion or the political mood of the city. Typically a family will choose one side or the other to support, and on election days the colors come out. Strangers will be questioned about which viewpoint that they support, and none will believe that outsiders do not have an opinion on the subject. The second way that they diverge from other Laténs is that the citizens of Lécce are elf crazy. They ape elf style, fawn on elven visitors, try to practice their Franka, and some even go so far as to try and mate with elves. The women wear makeup to make themselves seem more elvish, the men practice walking with mincing over emphasised elf walks. Major holidays are celebrated with the population wearing ceramic "elf masks". Most of the rest of the world thinks that they are eccentric, but few in the Empire comment, and some accept it as their due. The Elvish quarter of Lécce is very small, for few but the most egocentric (or crazy) can stand the attention for long. Like the other republics around the Deepest Sea, Lécce has a small senate of elected men, and a speaker of the senate. The Republic of Lécce is unique in that it has a selected Podestà, who rules the Republic for a five year term. During this term he is essentially imprisoned in a lovely palace on the sea, and the only outside contact he has is with the senators. All his worldly needs are taken care of, and he is treated with the utmost curtsy, but there is no leaving the palace grounds. The Podestà is always an elf, and he is "selected" by the senate when ever the previous term has ended, or the previous Podestà has decamped. This selection varies from open elections in the senate to hooded kidnappings in the dead of night. Lécce has a militia law, where all men of age in the territory must drill on the 7th day of the week. This is often interpreted to include foreigners as well, so those visiting may find themselves outside the walls marching back and forth for a few hours. K is for Kékhzmet in our eleventh installment of the Deepest Sea A-Z. Located south of the Deepest sea, Kékhzmet is between Györ to the west and several smaller kingdoms to the east. South is the barbarian kingdom of Oülös, where the border seemingly shifts with the seasons. Like most of the human kingdoms, Kékhzmet is divided by the Rim into two primary territories, one bordering the Deepest sea, and another to the south of the Rim. The territory north of the rim is fertile, and is dominated by grain and woodlands. Most of the population lives in this area, which is highly divided into small baronies. The area south of the rim is more arid and is economically dominated by cattle barons, who rule vast tracks of land, with small populations easily outnumbered by cattle and horses. Kékhzmet and neighboring Györ are the eastern and western portions respectively of the former kingdom of Pannonia, which itself had ruled former Imperial lands under the Dacian dynasty for nearly 400 years. Pannonia was conquered by the Mägr tribe, which invaded from the south, in AGM492 after a five year war following the death of the last Dacian king and resulting civil war (AGM487). Ethnically, the majority of the population is Nord, and the lords are mostly their former barbarian conquerors. The original Franka language dialect has been replaced by the new hybrid language Kékhzmetic, which is predominantly Finic in vocabulary, but uses the grammar of the ancestral Nord language. Due to the upheaval in rule, and the generally arid terrain, the population of Kékhzmet is somewhat low, on the order of 2 million. Kékhzmet is ruled by a king, who expresses his power through his barons. Greater barons have greater land holdings, and may have lesser barons under them. Technically the greater barons are supposed to form a council for the king, however those south of the rim rarely make the long journey back to the capitol. Each barony has its own courts, and slight variations of the common law. Sentences may be appealed to the greater barons, or the crown itself, although this is not done for lesser crimes. Trial by judicial combat is still common in the far southern regions of the country. To the eyes of those from the Empire, or more settled human kingdoms, penalties for crimes are harsh, although the total crime rate seems to be lower. Elves are mistrusted in Kékhzmet, particularly around the cattle. There are laws against selling cattle to Elves, and those who travel there must constantly prove that they own their mounts. Elves are not allowed to handle beef, and those that wish to eat it must not handle it with their hands. Ir-Simha is a small dwarven kingdom located in the Rim, between northern and southern Kékhzmet. Techincally a vassal state of the kingdom, in actuality it is nominally independent, although the lack of arable land in Ir-Simha means that the dwarves depend on trade with the rest of Kékhzmet. Thursday, more Deepest Sea A-Z with Lécce. Warhammer Historical is releasing a new rule book soon, called Kampfgruppe Normandy. This is an great looking book, which seems to be doing company level World War II Normandy in 20mm. There are some lovely looking page views located here. Some people will no doubt complain about the 20mm/1/72 aim of the book, but there are a ton of figures and vehicles available , and it seems like it would be easy to go 25/28mm or 15mm too, by adjusting the ground scale. However, the book's price is £48.00. Which is around $75.25. That is just crazy. I am sure that the book is lovely, but there are tons of other books one can buy for that price. (even 350 page full color ones) There are also plenty of other skirmish games out there that you can buy rule books for very cheap, or get them for free. This of course also suggests that Warhammer Historical will not be doing any Warhammer Ancients rulebooks anytime soon... which is too bad. That was an area where WH seemed to be doing well, even if their publication rate was anemic. J is for Justice in the tenth installment of the Deepest Sea A-Z. Justice and Law in the world of the Deepest Seas are not your Justice and Law. There are no constitutions, there are no Miranda rights, and no international courts. That being said, in most countries, life is not some sort of Hobbisan dystopia either, custom and codes of law restrain the abuse of power, and the sure knowledge that death awaits with an executioner's axe keeps crime down as well. Most of the human countries have a feudal system, in which a lord is given control of a fief and its tenants in return for loyalty to a higher lord, and military service. This chain continues up until you reach the King, who own the land, and is beholden only to the Shepard (or in some cases to a High King, or the Emperor of the Elves). Each link in the chain has control of those under them, down to the lowest peasant or slave. This chain works in reverse, so that the authority of the feudal overlord increases as one moves from the manor court to the baron's court, to the local magistrate, and then to the court king himself. Typically, only the local magistrate or the king may authorize enforcement of a sentence for capital punishment, although lower courts may suggest this sentence. Cities with in the human countries sometimes have a slightly different situation, as many have a charter from the king to be self ruling, typically with a council of elders and an elected mayor. In these cities, the laws are typically based on the common law of the country, but have an additional layer of rules and laws created by the council. These local laws may relate to local commerce, or local religious custom. As an example, in Szépes, a man may not wear red tights during the 4th month, as this is seen as offensive. The punishment is set at a hefty fine of one penny. The Empire, although much reduced in power and territory has a long and grand legal tradition, starting with the dictates of Remoos, adding law and legal custom under the Republic, and then moving into the long period of decline, where the rule of the Emperor became both more open, and more absolute. In general, citizens of the Empire (which is to say mostly Elves) have a strictly defined protection from the state, and one another, based on legal precedent, and a limited code of laws. Citizens retain these rights when outside the empire, although except in the case of client kingdoms, this is impossible for the Empire to enforce. Slaves, and other non-citizens have very few legal protections, and are not covered by same code of law. Dwarven Kingdoms are somewhat varied, but typically have a feudal/clan hybrid system, where a king reigns above several clans as their liege lord, the clans are headed by a great noble, who then has their own clan members as vassals. The system as a whole, is generally flatter than in a human kingdom, as the distance between common citizen and the king is, on the whole, much smaller. Some dwarven kingdoms are contrarily more despotic for the same reason, where the king maintains his position by fiat and tight rule. The Orcs have a more autocratic legal system, where the king rules through courts and magistrates appointed by the crown. Their basis of civil law is religious law, to the point where many of the appointed magistrates are priests recommended for their position by higher priests closer to the crown. The near totality of the overlap of religious law with civil law means that there are no appeals, and that sentencing is both swift, and usually merciful. Non-orcs have many fewer legal protections, and those who are not state slaves or orcs have none, save the force of arms or appeals to the local lord for clemency. Wednesday, more Deepest Sea A-Z with Kékhzmet. 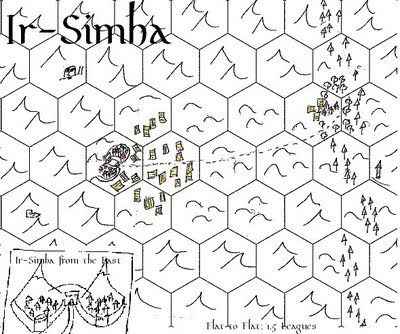 I is for Ir-Simha in our ninth installment of the Deepest Sea A-Z. ﻿ Ir-Simha is a Dwarven kingdom located in the south Rim in the midst of Kékhzmet. It consists of one small city and one village, each at the end of a valley in the middle of the Rim. The land between is arid due to the height of the mountains. 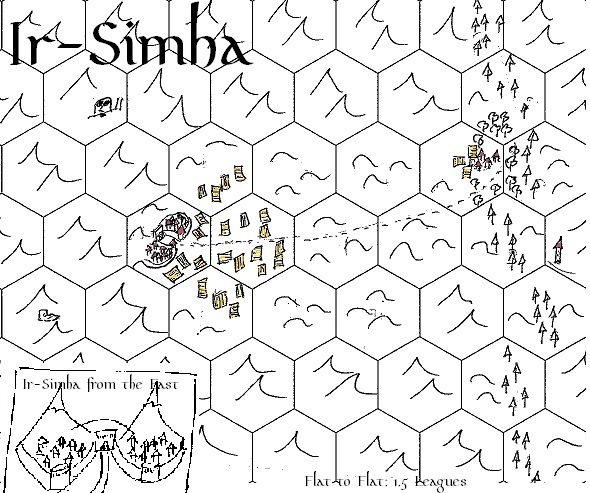 Ir-Simha itself is heavily fortified with effectively two walled surface towns joined by a keep in the center, which contains the gate to the under city. The few humans, havlings, and elves who live in Ir-Simha live in the northern half of the city, in the new quarter, which has taller buildings more suited to those who do not enjoy living underground. While the king gives nominal fealty to the king of Kékhzmet, in actuality the country is independent. The king has a council of elders, who are reputed to speak with the voice of the ancients. What this means, few know, as the council is not seen in public. The city has approximately 1750 households, but appears to be smaller, as many of the residents live under ground. Trade with Kékhzmet is mostly concentrated on exchanges of grain from the more fertile north, for the well wrought swords of Ir-Simha. There are also large flocks of sheep, which provide cloth and meat for the city. The village at the east end of the kingdom relies heavily on timber production, in addition to providing services to traders and travelers moving from one part of Kékhzmet to the other. Ir-Simha uses imperial standard measures, and takes imperial coin, although most are over stamped with dwarvish markings. Ir-Simha was founded as a slave town early in the rule of the Titans, housing the working crews used to mine iron from the hills. After the overthrow of the Titans, more dwarves came to this area, and a frantic fortification process protected them from the upheaval of the era. Elves came in numbers during the high days of the Empire, and created the south above ground town. The fortifications were expanded when the Empire dissolved, and have recently be modified again to take heavier war machines on the main bastions. Near Ir-Simha are the ruins of a small pre-Imperial town. The buildings appear to be mostly elvish in nature, and only survive due to the arid nature of the high mountain regions. To the north west is a giant head and arm which appear to grow from the hard talus of the slopes. The face is approximately ten cubits across. Curiously, the head is screaming, and the hand is missing from the upraised arm. East of the north south road is a tall black tower, clearly burnt out long ago. Tuesday, more Deepest Sea A-Z with Justice. H is for Havlings in our eighth installment of the Deepest Sea A-Z. Halflings, Hobbits, "the little people", Kender, and other friendly, happy little folk are a long standing part of fantasy. The most iconic of course are Bilbo and Frodo, who carried the One Ring, and set the mold by which most halflings are judged. They are fat, happy little fellows (rarely women), who eat and drink frequently. In D&D halflings are small, slight, have furry feet, gentle of nature, enjoy comforts, disappear easily when outdoors, and like to eat and drink. In a word, they are clearly hobbits. They can be thieves, or fighters, and have level caps for those as well. They get a +1 to initiative, and to dexterity rolls, and are restricted from two handed weapons and from large weapons. What happened to the Havlings during the rule of the Titans is unknown. They certainly existed before or after, but what transpired during the long dark years no sage can say. Havlings were part of the Empire, and like dwarves, had sort of a client kingdom relationship to their Elvish overlords. They maintained a single polity on the western side of the Deepest Sea. As the Empire disintegrated, the Havling realm became more and more independent, and managed to keep together during the dark times when humans took over the southern Empire, and the Elves withdrew to the capitol. Reduced in numbers, the Havlings continued on as they had for centuries, although they now had to defend themselves more often. Militias were created , but life continued on as it had, and the pastoral life of the Havlings went on. In AGM615, the first crusade of Orcs crossed the rim, and without the Empire to protect them, the Havling realm was crushed in a matter of weeks, completely absorbed into the crusade. Orcs of course, had little idea what to do with a bunch of pastoral nature lovers, and attempts to impress the lot of them into the crusade ended in expected failure. Ultimately, as the crusade failed, the Havlings were enslaved. Male Havlings were tied to the land on which they were born, serving as agricultural serfs. Females were taken as household slaves, and often used for worse. As time went on, and the local Orc overlords became more "civilized", the strictures of slavery eased. However, all male havlings born in the realm are born as slaves, and they are owned by the state, and controlled by the local Orc lord. Havlings speak Franka of a sort, a dialect called Westronese, or Half Franka by some. This language is derived from Franka, and is more flat in its intonation, and has more rounded vowel sounds. This dialect arose during the last days of Imperial control, and is wide spread on the north western side of the Deepest Sea, at least amongst the educated. Havlings of the Deepest Sea do not have experience caps as they do in standard D&D, nor are they limited to being fighters and thieves. Havlings may be fighters, rangers, druids, magic users, and thieves. They are able to use two handed weapons, but as they are less sure footed than Dwarves, they suffer a -1 penalty when doing so. Younger Havling females love to adventure, to strike out and see new things, and to have new experiences. To a certain extent, they look up to Elves, believing them to be wiser and more knowledgeable about the world, something which does not usually last more than the first few adventures with one. Like Elves, Havlings trade on stories when at home, lighting the misery a bit with tales of danger and reward abroad. Havlings live for today, and love to drink above all other things. They reverence nature, and try to "tidy things up" when they can. They have a myriad of taboos and observances which strike outsiders as both quaint and befuddling. The web of etiquette and taboo makes it difficult for outsiders to live in Havling towns, and while they laugh off offenses, they tend to separate themselves quietly from those who offend often. Randomly generated Havlings NPCs or PCs are likely to be female 5/6 of the time, fighters 1/2 of the time, and slaves 1/6 of the time. Random males are nearly always slaves (19/20), and are escaped slaves 1/2 of the time. Havlings adventuring tend to be young, and 3/4 of them come from the Havling realm. Havlings have no native nobility, but reverence their druids in a similar manner. Humans are less familiar with Havlings, and often call them "half elves", "halflings", "kid", and other more derogatory things, in part due to their general appearance as child Elves. This ignores of course the Havling tendency for shoes, difference in facial features, skin color and so on, but it is a perception that refuses to die. That encountered Havlings tend to be thieves and escaped slaves does not increase their popularity with humans. The best figures for Havlings are clearly Reaper Gnomes, particularly those sculpted by Derek Schubert. Monday, more Deepest Sea A-Z with Ir Simha. Part of making a game map, particularly one for sandbox play, is figuring out what the scale of the map should be. Once that is done, then you can figure out what size hex grid to overlay. (sometimes those are the same thing) Sometimes you want the hexes to be a standard for maps of that scale, and some times you want a hex size linked to a game more closely. If you are drawing your map out by hand, I find this site to be very useful. You are able to create your own PDF of hexes, and then you can print them whenever you need a new map page. There are other interesting papers there too, such as square graph paper, polar paper, and even music paper. The Cornell Graph paper looks to be useful for dungeon drawing and keying for instance. Anyway, just musing a bit on maps for the Monday A-Z post. Grit and Gritty are two qualities that I want to bring out in the Deepest Sea setting. Grit, is admirably served by OSR D&D play, with PCs running the risk of dying in traps, to hungry slavering beasts in the deep, and to "justice" when in town. Gritty, by emphasising the early medieval world, with its dangers, diseases, and death. So, sharpen those swords, pick up more lamp oil before you leave town, and hire some more henchmen, you are going to need it all. Tomorrow, more Deepest Sea A-Z, with Havlings. Forbes writer Michael Noer calculates the value of Smaug's treasure. As you are aware from your close reading of the Hobbit , Smaug ruined the dwarven kingdom, and took all the treasure and made a huge pile of it. Which he then slept on. Mr. Noer calculates this at a value of $8.6 billion, including the Arkenstone. This number of course leaves out the matter of the value of mithril items [Bilbo's coat alone worth as much as the Shire], and the value of any gems and such like mixed in with the gold and silver, but it is still an astounding total.